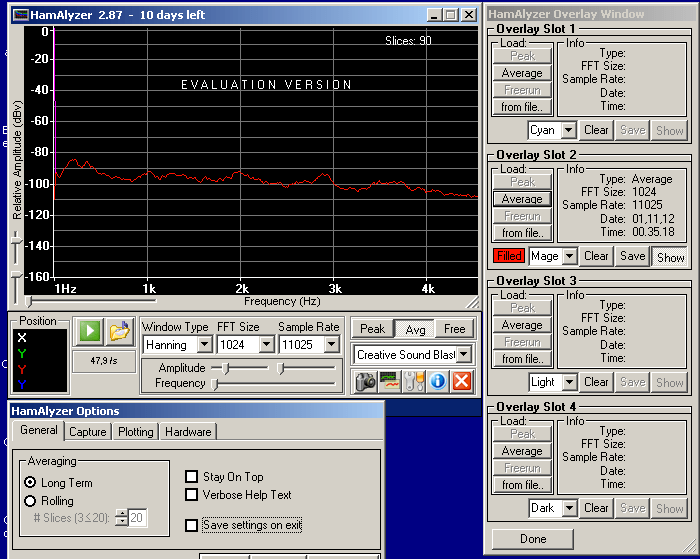 HamAlyzer is a great program for analyzing audio quality as well as the audio signatures of other stations on the air using your soundcard. Written originally by Chris Brown from Chicago, looks like is no more developed and supported since hamalyer.com domain has been left since some years now. I still have the free 10 days trial and I’ve tested version 2.8 on Windows XP. I wanted to hav Hamilizer on another PC and could not move it but with your help I have now got my registered copy on my new PC. You are the only site to have the software . Thanks again for posting the software. I downloaded the Hamilizer from the link provided on your site. The countdown timer counted down and now it doesn’t work. I would be happy to pay the guy for the software but his domain is no longer active. 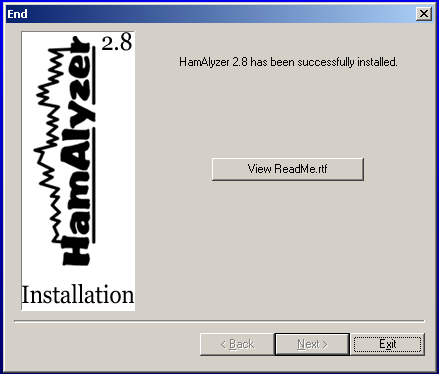 I use to have Hamaylzer installed on a computer sometime back…tried this download and it does not work…where can I get a good download and is there anything special I need to do? What’s the trick for this program to run on Linux under Wine? I like what I see on your HamAlyzer. Doe this or will this work with Windows 7?? ?